The best place in town by a rhubarb mile for natural foods! 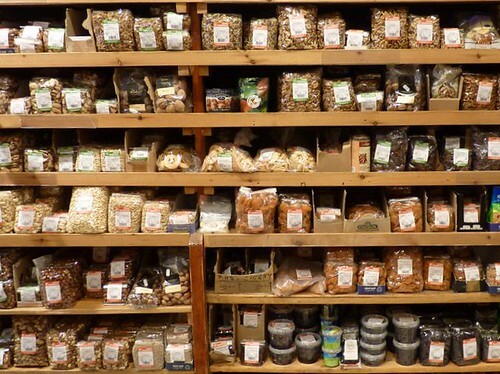 There are two shops in Edinburgh that stock a huge range of natural very good food, what might amaze you when you pop in is that these shops are only in Edinburgh. They have a great business, but hush, lets enjoy this while they are still all ours. Choose a food and they are likely to stock a very natural variety from fruit and veg, cereals, nuts and pulses, spices, baking, dried fruit, nuts, snacks (including spicy ones), pet products, household, juices, wine and chocolate to mention the headlines. Go in and have a look, very helpful staff, great produce and good value. Its true.